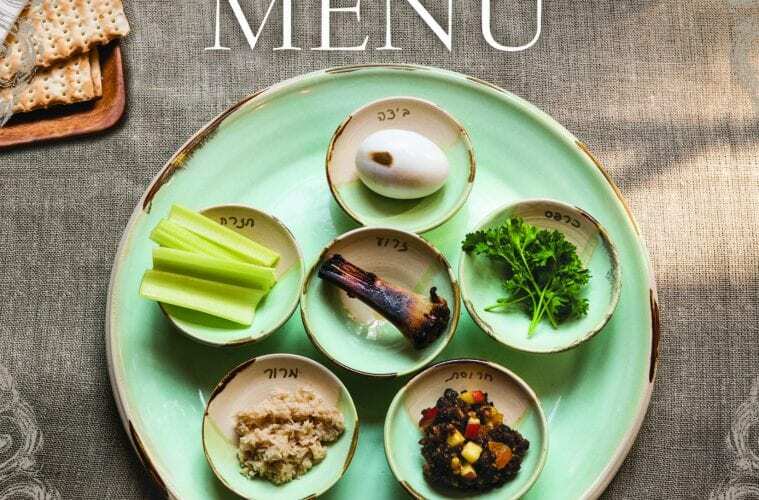 Paula Shoyer is buzzing around her spacious kitchen in Chevy Chase, Maryland when she pauses for a phone interview to discuss her latest cookbook, The New Passover Menu (Sterling Epicure, 160pp). It’s only 10:00 on a Friday morning, but the married mother of four is already deep into preparations for that night’s Shabbat dinner. Surrounded by four open cookbooks, a chicken prepped for roasting, seasoned meat and bags of flour, she admits, “it’s pretty messy right now.” But if the energy and enthusiasm in her voice are any indication, Shoyer is obviously in her element. She anticipates her work will be done by 1:00 p.m., giving her plenty of time to change gears before welcoming guests at sundown. Reprinted with permission from “The New Passover Menu” © 2015 by Paula Shoyer, Sterling Publishing Co., Inc. Photography by Michael Bennett Kress. What she does now – between writing cookbooks – is teach classes in French pastry and Jewish cooking in the DC area, develop desserts that are dairy-free, gluten-free, sugar-free and vegan and travel the world extolling the virtues of building great food memories around special holidays and ordinary days. Her insights on all of the above will be on the menu when the Marcus Jewish Community Center hosts Shoyer for a master cooking class, and an author talk & book-signing on Sunday, April 10. 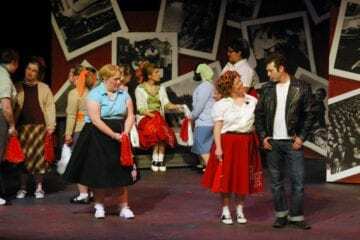 Participants will learn how to prepare soups, salads and entrées and get a primer on working with egg whites (“because sponge cakes are all about the egg whites,” according to Shoyer) just in time for Passover, which begins on April 22. The eight-day holiday commemorates triumph over oppression as Jews celebrate the Israelites’ Exodus from Egypt. But the rituals required to retell the story through food requires imagination and commitment, particularly when ingredients like bread, rice, corn, oats, rye, spelt, barley, legumes and pasta are forbidden, or chametz. Likewise, leavened food or food that has come in contact with leavened products are chametz. And the utensils, cooking and baking equipment used to prepare or serve a Passover meal must meet strict guidelines. It’s no wonder Shoyer quips that, “Jews who host the holiday often feel that preparing the house and food for Passover makes them feel a little too much like the Israelite slaves.” The New Passover Menu, however, was written to set chefs free. Divided into eight menus to help mitigate the challenge, there are two Seder menus, one each for Shabbat and Yom Tov and four weekday menus. 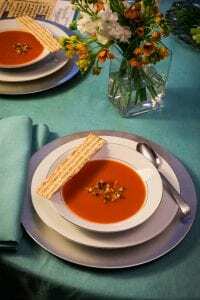 Gingered Red Pepper and Tomato Soup. Reprinted with permission from “The New Passover Menu” © 2015 by Paula Shoyer, Sterling Publishing Co., Inc. Photography by Michael Bennett Kress. Creating connections between food and ritual is probably one of the simplest yet most profound legacies any cook can leave behind, as is obviously the case when Shoyer talks about her biggest influence in the kitchen – her own Grandmother. Her voice drops an octave and takes on a tender, almost childlike tone while recollecting the family matriarch. Shoyer’s conviction that “there is an innate generosity to bakers’ souls,” likely stems from her formative years in Brooklyn. 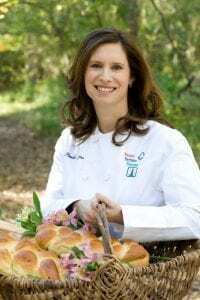 But personal experience has confirmed her belief that patience and sweetness are two characteristics shared by bakers everywhere from Israel, which she calls one of the most exciting dessert travel destinations in the world, to Asia and Europe.